My meal plans are tailored to your goals and lifestyle. This is the next best thing to 1-on-1 nutrition and health coaching if you don’t feel you require or have the budget for them, because it is created specifically for you. Health & Nutrition Questionnaire to learn more about your specific needs and goals. 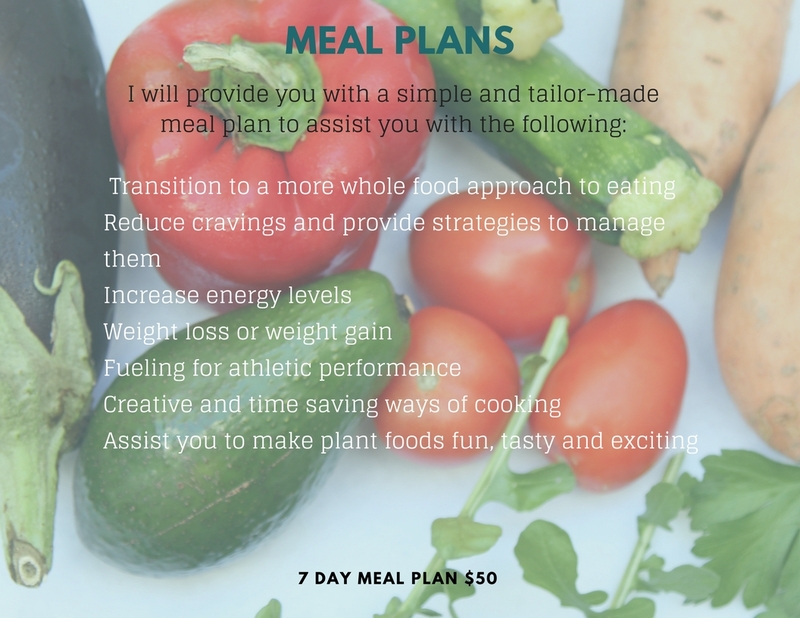 A personalised 7-day nutritionally-complete whole food meal plan from me, taking into account your tastes and preferences as detailed in your Health & Nutrition Questionnaire. The turnaround time between receipt of your diet diary and delivery of your meal plan will be 2-3 business days. You will receive all documents directly to your email address provided. You will be charged at point of purchase.